Did everyone else forget about When Marnie Was There? I recently remembered (and kind of forgot) about When Marnie Was There, Studio Ghibli’s newest film. The film is having a limited theatrical screening in the United States (not sure about anywhere else) that started in June. It’s still running, and theaters are being added on a weekly basis. The only problem is... it doesn’t run in my area. Well, it runs in my state, but I’m not going to another city just to see a movie. Because of that small issue, I’m now relying on the Blu-ray/DVD release... Whenever it actually gets released, that is. I would buy the Japanese BD (that I saw on Amazon), if I could understand more Japanese than I currently do. I’m really excited about this dub. I feel like they pulled out all the stops for it. Priscilla Ahn, in common with the protagonist, saw herself as friendless and alone, and turned to music and other interests as a way to compensate. “...would literally sit on my bed and look out the window at night at the moon, and wonder if I was loved... if anyone would miss me if I was gone.” This led her to writing “Fine on the Outside” in 2005, but she had never released it due to the lyrics being too personal, and because she didn’t want to have to change the song in any way to make it fit in with her other albums. A big fan of Ghibli, she read the original novel “When Marnie was There” after the announcement they were working on a movie adaptation, saw herself in Anna, and eventually decided to submit the song to Ghibli. The movie’s producer, Yoshiaki Nishimura, contacted her soon afterwards saying how much he loved the song, and it was later officially chosen as the theme song. 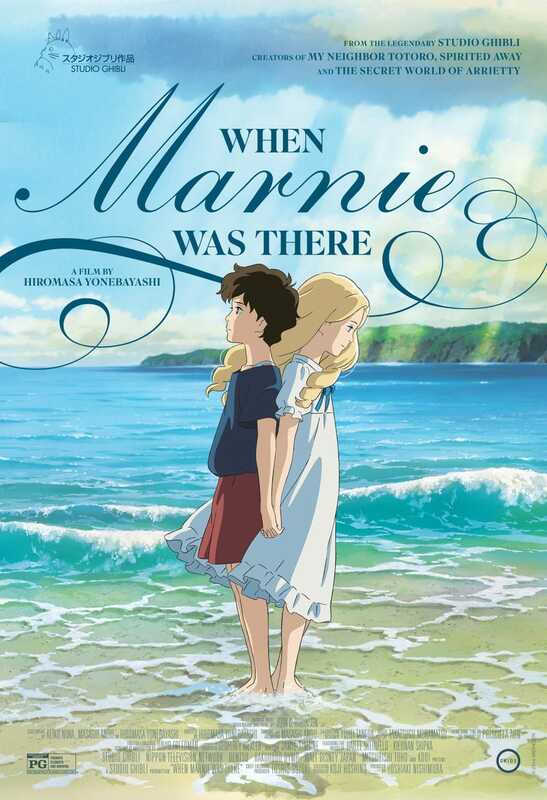 When Marnie Was There (Japanese: 思い出のマーニー Romaji: Omoide no Mānī, lit. Memories of Marnie) is a 2014 Japanese anime film written and directed by Hiromasa Yonebayashi (The Secret World of Arrietty), produced by Studio Ghibli, and based on the novel When Marnie Was There by Joan G. Robinson. It was released in Japanese theaters on July 19th, 2014. It was the final film for Studio Ghibli before they announced that the film division is taking a short hiatus after The Tale of the Princess Kaguya, and the retirement of Hayao Miyazaki a year before the film was released. This is potentially the last feature film to be released by Studio Ghibli as a result of the hiatus. The film was released on Blu-ray and DVD in Japan on March 18th, 2015.